Netflix Cancels Marvel’s Daredevil! Will Daredevil Season 4 Be On The Disney+ Streaming Service? The ax continues to fall on Marvel’s series at Netflix. Daredevil, which launched the Marvel universe on the streaming platform, has been canceled after three seasons. The move comes on the heels of Netflix canceling Iron Fist and Luke Cage last month – but Daredevil seems to have an afterlife elsewhere. “Marvel’s Daredevil will not return for a fourth season on Netflix,” the streamer said in a statement tonight to Deadline. “We are tremendously proud of the show’s last and final season and although it’s painful for the fans, we feel it best to close this chapter on a high note.””We’re thankful to our partners at Marvel, showrunner Erik Oleson, the show’s writers, stellar crew and incredible cast including Charlie Cox as Daredevil himself, and we’re grateful to the fans who have supported the show over the years,” Netflix added just a month after the third season of the series launched on the service. However, unlike Iron Fist or Luke Cage, the door seems to be wide open for the blind protector of NYC’s Hell’s Kitchen, perhaps on the upcoming Disney+ streaming platform. 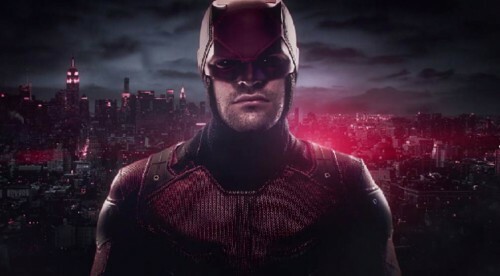 “While the series on Netflix has ended, the three existing seasons will remain on the service for years to come, while the Daredevil character will live on in future projects for Marvel,”Netflix said also. With The Defenders never intended to return beyond its 2017 miniseries run and Iron Fist and Luke Cage dropped, the cancelation of Daredevil so soon after its highly anticipated and acclaimed third season was released, now leaves only two Marvel series on Netflix, Jessica Jones and The Punisher. Whether those “future projects means Cox’s Daredevil makes an appearance with his Defenders colleague or the Jon Bernthal led vigilante series remains to be seen. A Daredevil series on the planned Disney streaming platform or another movie could be an option too, though that the latter seems unlikely, we hear. The era of Marvel TV on Netflix seems to be coming to an end at the same time Disney is revving up its own streaming service with already announced Loki and Scarlett Witch series for Disney+ coming from Marvel’s Kevin Feige led film division. For now, the upcoming new seasons of Jessica Jones and The Punisher are still currently scheduled to run on Netflix as planned, sources say. Overall, the cancellation of the series starring Cox and Vincent D’Onofrio, who had been tweeting about a forth season in the past few weeks, shows just how strained relations between Netflix and the Jeph Loeb run Marvel TV have become. A far cry from when their multi-series deal was first announced back in 2013 with big smiles and almost bigger plans. The current state of affairs became painfully evident when the SVOD player abruptly pulled the plug on a third season of Luke Cage last month. One week after Iron Fist was pink slipped, that October 19 cancellation of Harlem’s Hero came after the nearly half scripts had been written for a Season 3 and a formal renewal had been considered a foregone conclusion. The fact is times have changed on the digital landscape and Marvel shows on Netflix are costly to make, even with New York’s generous tax credits, which had an extra clause added to accommodate the series. When the initial deal with Marvel/Disney was made by Netflix five years ago, the company, desperate to gain big draw content, laid out big bucks for the series – which it never owned. Now the situation is very different, which Netflix awash in new series and returning series that it holds the keys too. In that context, Netflix and Marvel TV have also been arguing over the season orders and that may have played a role in Daredevil’s demise, as it did Luke Cage‘s. Being part of the first wave of Netflix original series, all Marvel series have produced 13-episode seasons. But Netflix has since switched to seasons of 10 episodes and has been pressuring Marvel TV to switch to fewer episodes, which the company had been resisting. There also have been creative issues, with a revolving door of showrunners on Marvel’s Netflix shows. There have been new showrunners for every season of Daredevil, with Iron Fist for and Jessica Jones’ also undergoing a showrunner change.